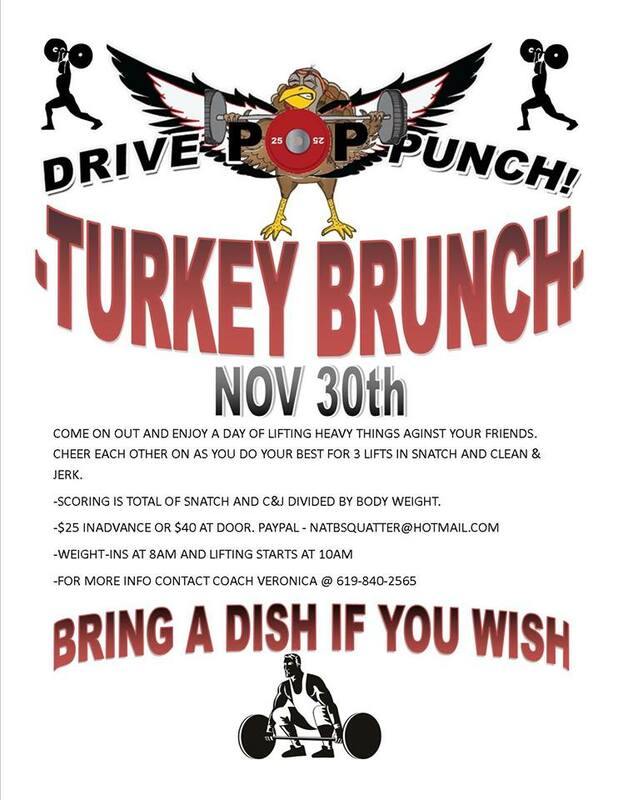 Today CrossFit SoCal will be hosting a USAW sanctioned Olympic Lifting meet held by Veronica Aguila’s Drive Pop Punch. Come out to support the athletes. Lifting begins at 10am. All regularly scheduled Saturday class will be cancelled including Weekend Warriors.